Successfully Added LED Car Headlights - H7 Type Interface, 6500k White Light, 3800 Lumen Each, COB Chips, 80M Range to your Shopping Cart. 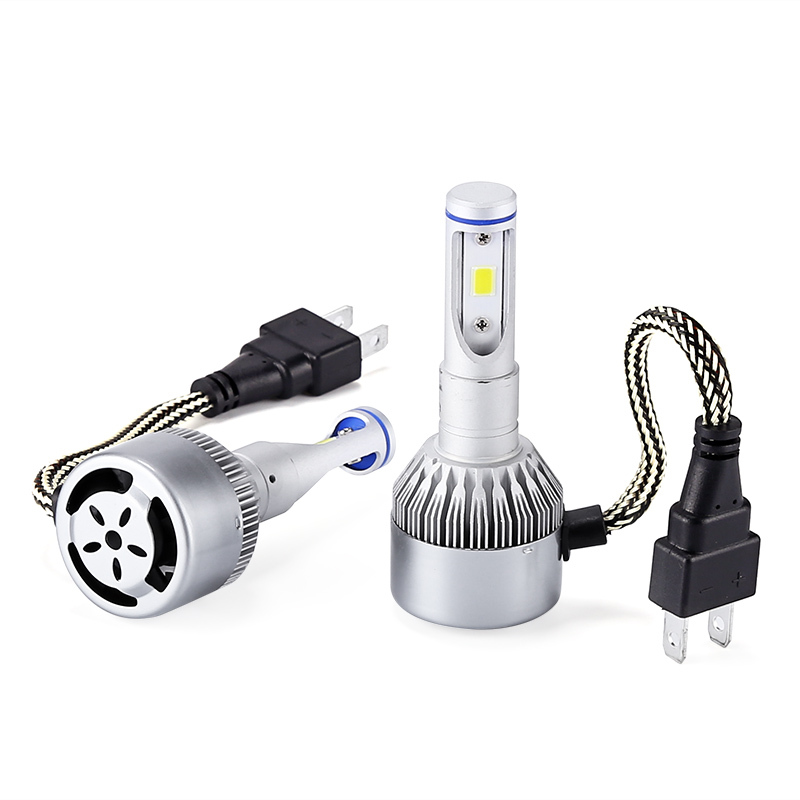 Light up the entire road ahead of you with these LED head light bulbs for your car. With a range of 80m, these car lights are sure to bring forth a stable beam of light that will take you safely through the darkest of roads. From now on, you’ll be able to hit the road after dark with confidence. By producing 3800 lumens each, these LED car head light bulbs guarantee that you won’t run into any nasty surprises again while driving your car at night. Each light produces a strong and bright 6500k white light that will light up your surroundings. No matter how dark the environment, these car lights will provide you with the needed light in the darkness. These car LED lights feature an H7 interface and fit a wide range of vehicles. They furthermore come with a plug and play design which makes them easy to install. Simply attach them to your car and you’ll be all set. As no technological knowledge is needed, anybody will be able to easily install these car headlights. Within their body, each headlight features 42 COR chips that bring along an energy efficient performance. Thanks to this, you’ll be able to use these LED lights in a sustainable way. With 30000 hours of service life, you won’t have to worry about replacements anytime soon. These LED car Headlights comes with a 12 months warranty, brought to you by the leader in electronic devices as well as wholesale electronic gadgets..